The Cyclades are renowned for some of their famous islands - not only have you got Santorini, a celebrity hotspot but you’ve also got Mykonos, a place that exudes luxury and old fashioned Greece in equal measures. We’d only recommend this sailing route for the keener sailors, similar to our one week Paxos route as the Meltimi blows heavily during the summer season, up to Force 6 making it an exciting sailing ground for an experienced crew. The Cyclades are fairly far south so experiences a warm summer with temperatures up to the mid 30’s in peak season. And the best bit about this area is the moorings fees...there aren’t any! (Or if there are, which is extremely rare they won’t be much more the €20). After arriivng in Paros and checking in with the local charter company you have some time to enjoy the evening entertainment. 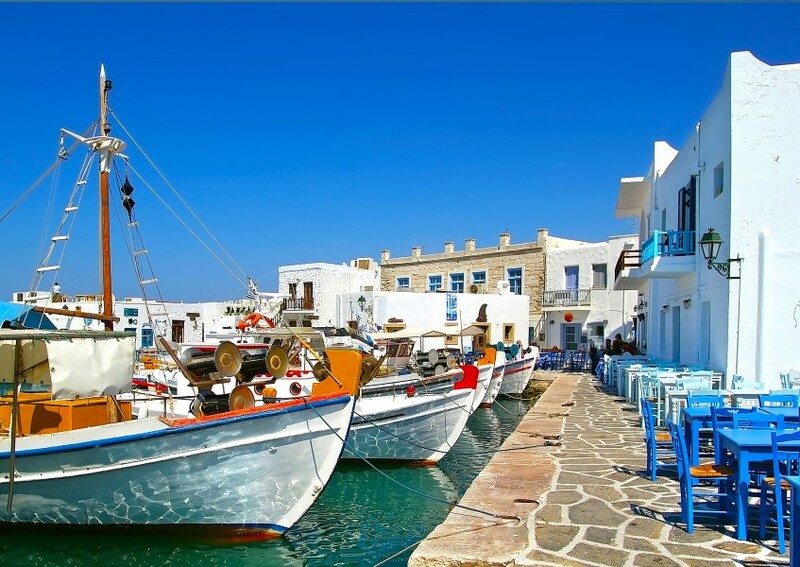 Paros is one of the most popular islands in the Cyclades and a great place to begin your sailing holiday. Famous for its traditional Greek architecture, stunning beaches and lively nightlife this island is the perfect spot for all. Sailing East from Paros will take you towards Naxos, the largest island in the Cyclades. 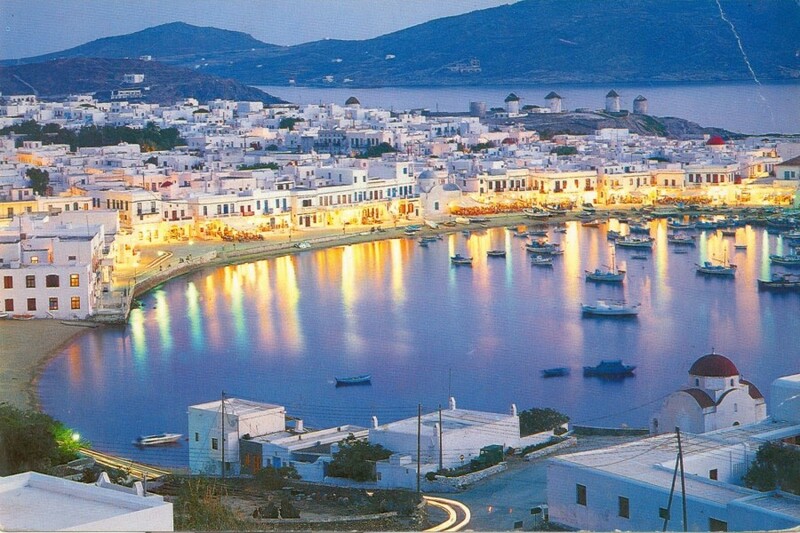 It is located in the centre between Paros and Mykonos. According to Greek mythology this was the nuptial isle of the god Dionysus, god of wine. Which sounds like a great spot for us if that is anything to go by. A short 10 mile sail from here will take you to Donoussa. Due to the size of Donoussa (it is very small) it has remained a quiet place for summer holidays with very few tourist facilities and lots of privacy. 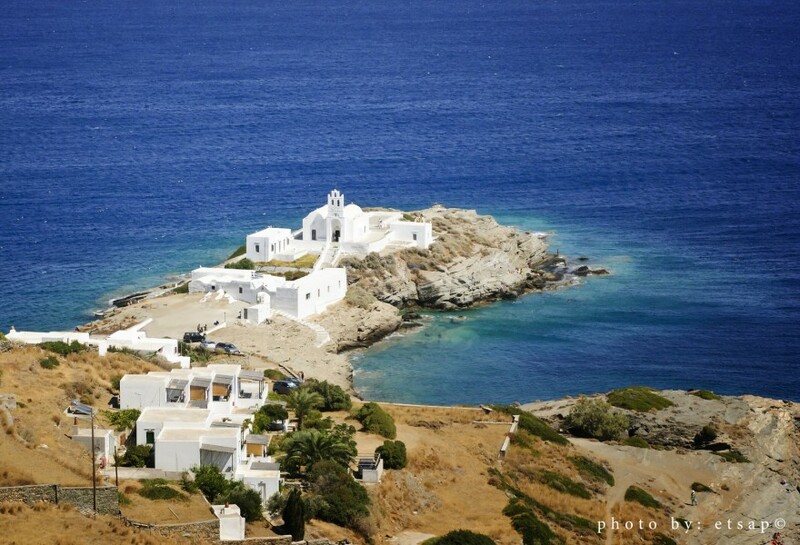 As you sail further south around the Cyclades you will pass several big islands that are not to be missed. Armorgos and Irakleia are only a short 5 mile sail from each other and offer lovely anchorages among beautiful bays. They are also nice for an overnight stay with lots of local tavernas offering fresh Greek food, a great way to spend an evening. 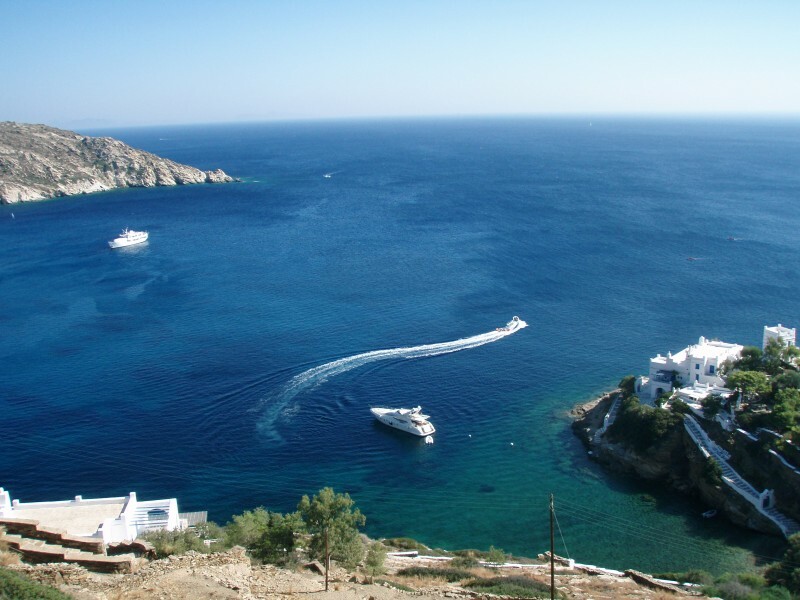 Sailing further south will bring you to a couple of very popular islands in the cyclades, Ios and Santorini. Santorini is one of the most photographed Greek islands, and it's not hard to see why. With its blue domed churches, white washed iconic houses and mesmerising views out over the Aegean. Ios is famous for its wonderful beaches, picturesque villages and lively nightlife, it has something for everyone. Take your time meandering through the Western Islands in the Cyclades. A 10 mile sail from Santorini will take you to Folegandros. 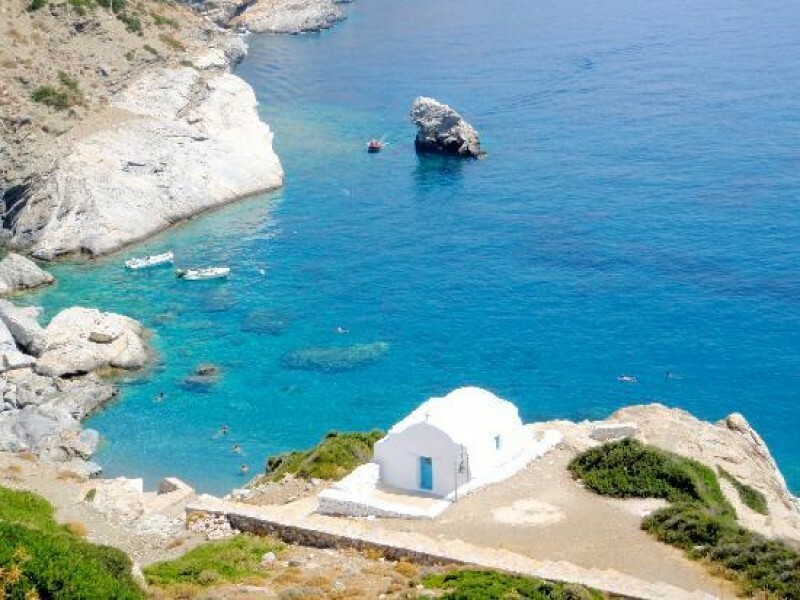 Nestled away from all the package tours and holiday makers is Folegandros. It is one of the smaller Cyclades Islands and truly stunning with its rugged cliffs and white washed houses. Due to the terrain on the island a lot of the beaches are very hard to get to if you don’t fancy hiking. However as you will be sailing this is perfect for you to find a nice little secluded spot. You can anchor off in many of the bays and swim up the beach if you fancy exploring. 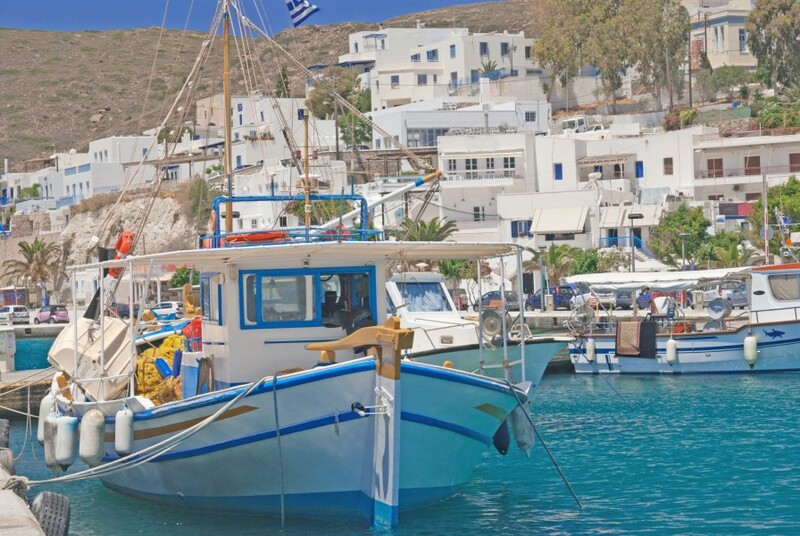 Milos and Sifnos are just a short sail from Folegandros and a must see with lovely ports for an overnight stay. 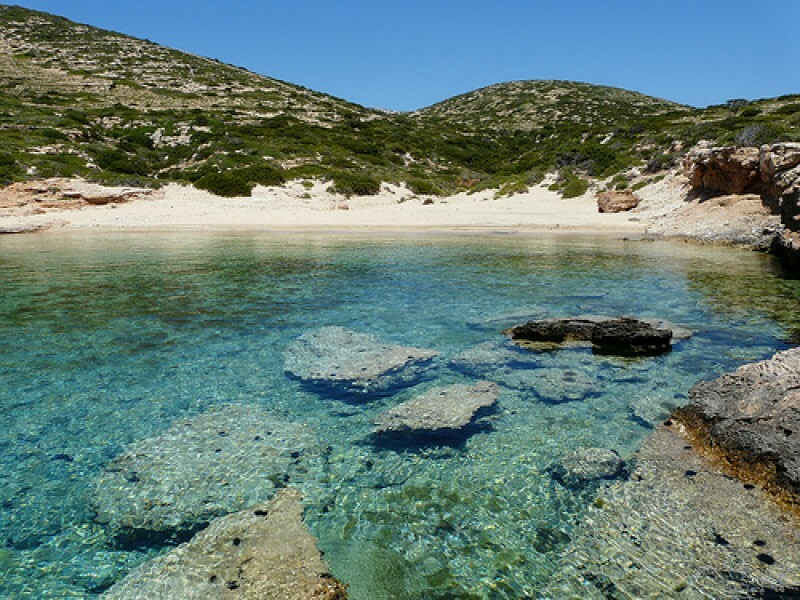 A short 5 mile sail from Sifnos will take you to Serifos, a beautiful island untouched by tourism with crystal beaches and little traditional tavernas, this is a must for families or those looking for some romance. A great spot to get your sails up for a final sail is between Serifos and Paros. The wind in the area is perfect for some tacking in the open seas. Give yourself plenty of time to get back to Paros so you can fully enjoy all it has to offer including the lovely beaches, local shops and exciting nightlife before cheking out the next morning.